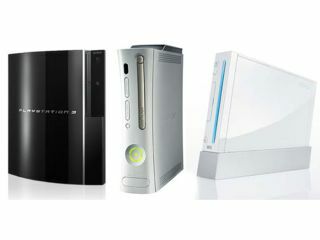 EA Sports President and former Xbox boss Peter Moore thinks both Microsoft and Sony will be looking to go one step further than the Wii, in terms of building upon Nintendo's success in motion-controlled gaming. And if anybody is authorised to know about such developments, it would be Moore, having put in time as Senior Executive at Sega and Xbox Ambassador at Microsoft before his current role. "I think that, knowing Microsoft in particular obviously, is that they are constantly thinking three to five years ahead of where consumer behaviour's going to be, how do people want to interact with their games, and are probably thinking about - not how do we replicate, you know, motion control, but how do we go one step further? "So, to your point, I think they're doing that and I think Sony are probably the same." There are a number of third-party motion controllers already in development for Xbox 360, such as PDP's tech that was revealed at GDC in San Fran last month – which TechRadar should be getting a hands-on with in the very near future.